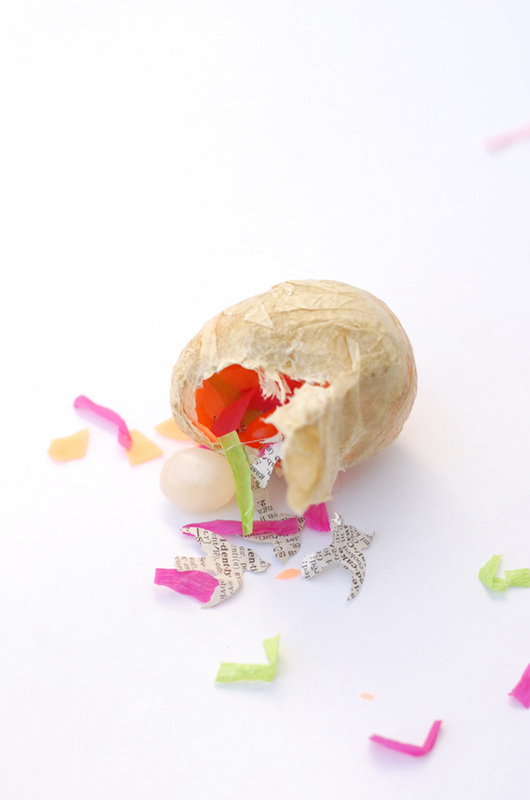 Inside: The cutest confetti filled paper mache Easter eggs! 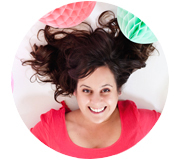 With spring in full force around here, I am excitedly planning our Easter brunch! I made these paper mache eggs in a large batch to showcase around the house. 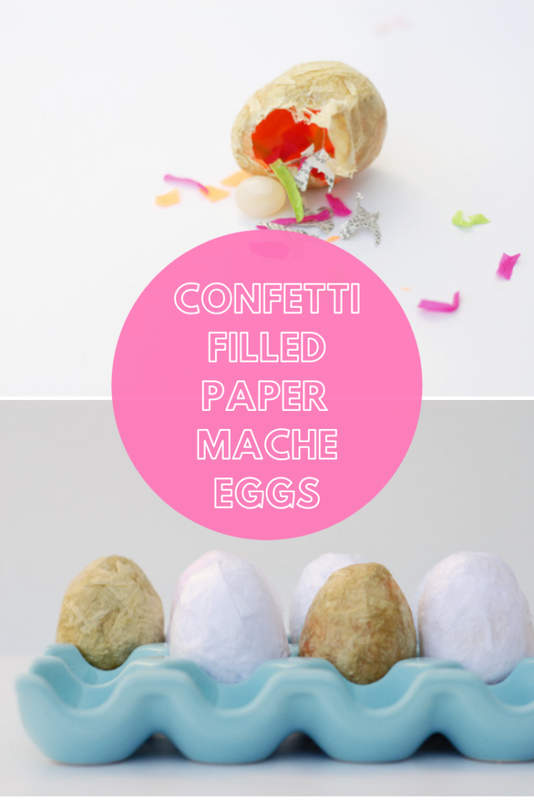 They are easy to make with the help of bright plastic eggs, and much prettier to look at. 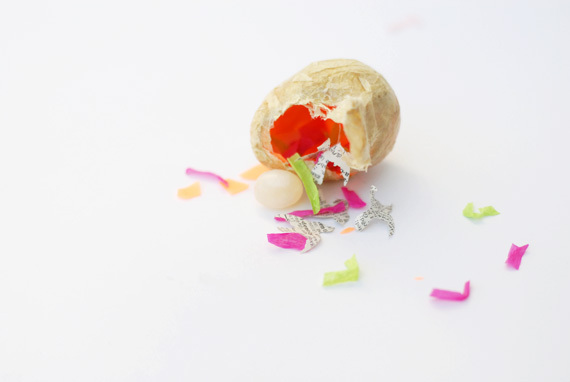 The kids will have a blast smashing them in to reveal the confetti and treats inside and the best news is… since they are made from plastic eggs if one isn’t found the house won’t stink come May! 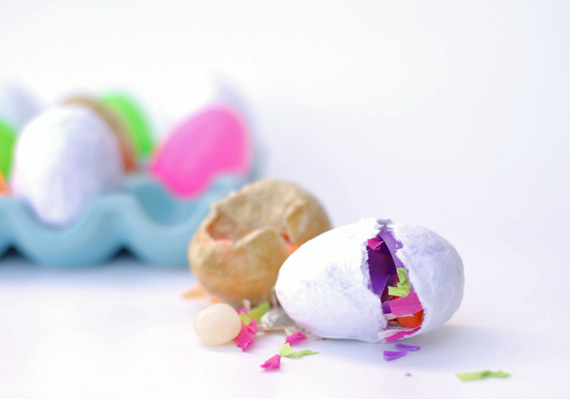 Fill a batch of plastic eggs with goodies, confetti, and treats. Using a mixture of 1/2 cup Mod Podge to 1/4 cup water (you need to dilute it for ease of smashing) begin to cover the plastic eggs with white/natural tissue paper. Shoot for about an even 3 layers around the egg. Any more and they will be too hard to break open, less and your plastic color will still show through. Let dry for about 24 hours. Set around your house for a show or find! With their organic feel, these paper mache Easter eggs look great against the brights normally associated with the spring holiday! They will instantly bring a well crafted feel to even your youngest egg hunt celebration (note: very young kids, two and under, might struggle to open these eggs and need adult help. Make a game of it by using a mallet to smash them open together, lots of laughs from that one… promise!). I love fun and interactive ideas for Easter, here are a couple of my favorites from last year’s Easter celebration. 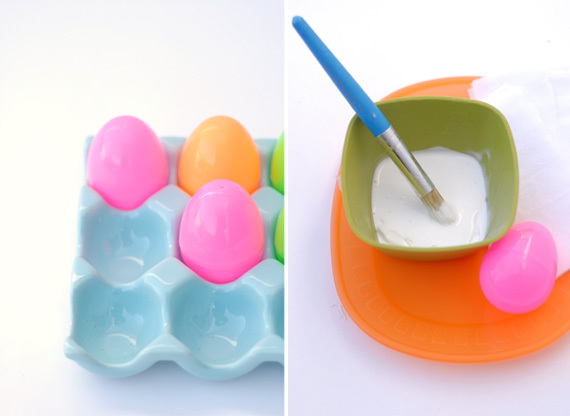 Including these frozen eggs, this festive spring wreath and these fun Easter games! I had to pin this! Love love love it! These eggs are incredibly fun & so pretty. Thanks for sharing the how to! so fun! what a cute idea. lovely! I’m curious – the egg in the image by itself looks like it doesn’t have a plastic egg in it? I am planning on doing the Not Martha Chocolate surprise Easter eggs AGAIN this year, but while my daughter’s class has 9 kids my son’s has 27 – Papier Mache may be the way to go! I’d prefer to do it without the plastic – am guessing small balloons would work leaving an opening to get popped ballon out of and get stuff in! then cover hole, but now maybe it’s getting more time consuming – curious if you tried this method and then ditched it for the plastic….